Hi, friends! I hope Monday is being kind to you! Please excuse my absence for the last two weeks; our semester started on August 28th and since then I've worked over 60 hours of overtime. Yikes. Because work is so busy, it's hard to me to find the time to blog. But, things should start to calm down here soon so there will hopefully be more posts in the near future. Whoops, I probably should be doing more running if I'm actually supposed to be training for fall races! This week was nuts with crazy overtime hours and other commitments and I just didn't make the time for any running or strength training. But, I did run my third-fastest half marathon and didn't feel too awful afterward. I've got five weeks until Runner's World Half & Festival and I intend on making them count. The older I get, the less my training goals revolve around time and the more they revolve around how I feel during/after the race. As you know, I've been struggling with my weight and lack of training pretty much since last spring. One of the techniques we use in Weight Watchers is to look back at a time when you were being successful with weight loss and try to recreate that helpful environment. I was in the best shape of my life in May 2015, when I ran the Pittsburgh Marathon. I had been training consistently, fueling appropriately, and was at my lowest weight while also feeling super strong. 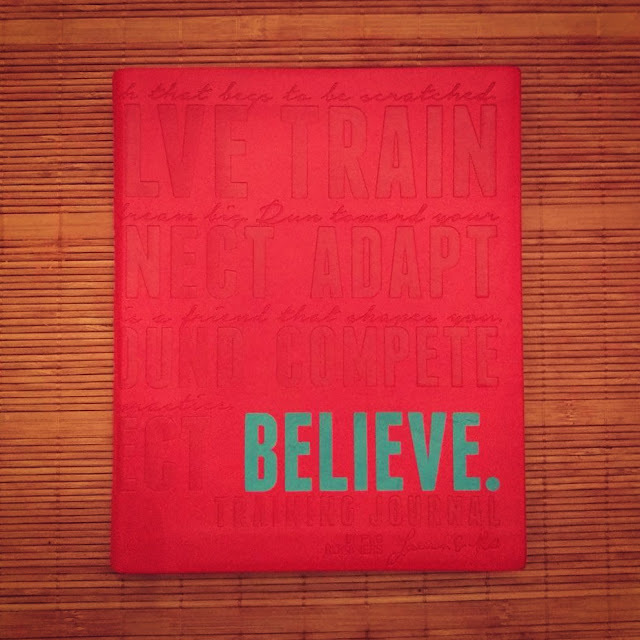 One of the things that I did differently was keeping a written journal of all my training. 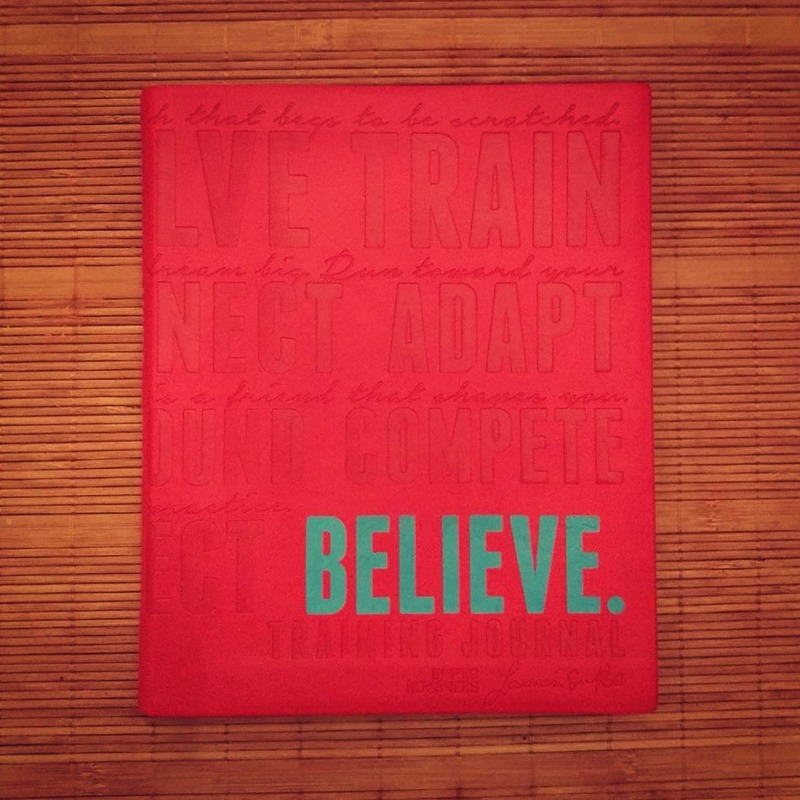 Back in 2015, my sweet friend Stephanie sent me the Believe Journal after my stress fracture as a way to track my comeback. And man, did it work like a charm! However, once it was filled (it holds about a year), I never bought another one. So this week, I ordered a brand new journal and will make my first entry today. My hope is that by manually writing and tracking my training, I'll be motivated to stay on plan and reach the goals I have set for myself. And, fingers crossed, lose the weight that I've gained. Persist in the pursuit of your goals this week, friends! Have a great week!